One of the well-known personality,Posts Held at Secretary to Government in Public Works, Finance, Revenue, Public, Food & Co-Operation Departments,Member of Tamil Nadu Land Reforms Special Appellate Tribunal and Chairman of Staff & Expenditure Reforms Commission (in the Grade of Chief Secretary). Dr. Swaminathan Formely Secretary of Vice- President and President of the Indian Officer’s Association, Vice- President and Secretary of the Indian Institute of Public Administration (Tamil Nadu Chapter), Executive Committee Member of the Madras Management Association, President of the Association for Hospitality, Director of Guild of Service, Committee Member of Probus Club of Madras, President of South Indian National Association and Ranade Library, Chairman of Tamil Nadu Foundation, President of Chennai Consumer Protection Forum, Trustee of Sekkizhar Manolayam Trust and Chairman of Ethiraj College for Women. 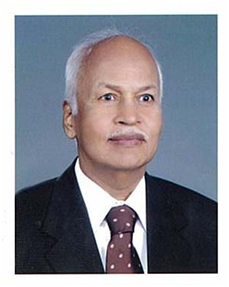 Dr. Swaminathan Presently President of Madras School of Social Work, Chairman of Swathi Elders’ Home, Vice-President of Sekkizhar Research Centre, Trustee of Chennai Kamban Kazhagam,Trustee of Public Expenditure Round Table, Committee Member of Tamil Valarchi Kazhagam and Committee Member of Lady Sivasami Ayyar Higher Secondary School. “For the Sake of Honour” Award of the RotaryClub, “SEVA RATNA” Award of the Centenarian Trust and “SCROLL OF HONOUR” by the Probus Club.